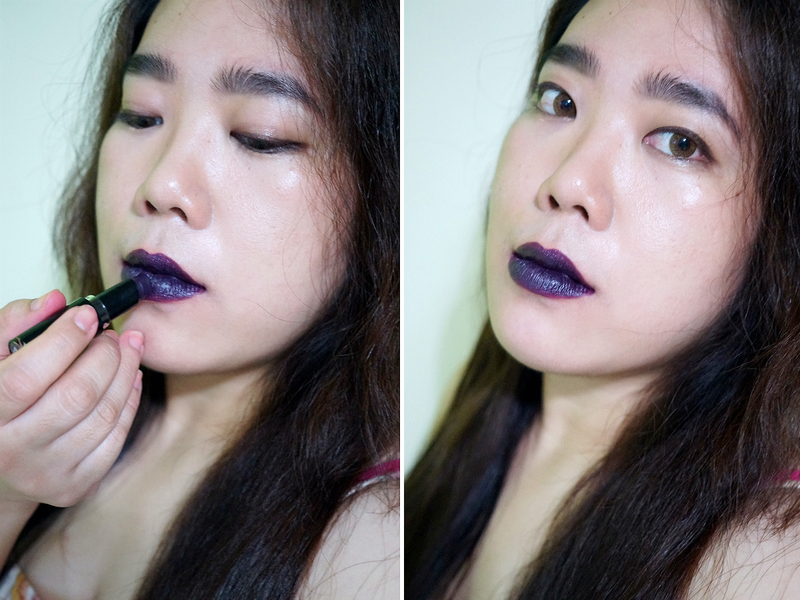 For today, I have another Wet n Wild lipstick. I know I told myself I won't be purchasing more but they are so cheap and have shades I want to try on myself. They have dupes of lipsticks from more expensive brands (particulary MAC) so if I'm curious about a shade, I definitely can try it out on me before committing to the real, more expensive one. Case in point, this shade in Vamp It Up 919B. 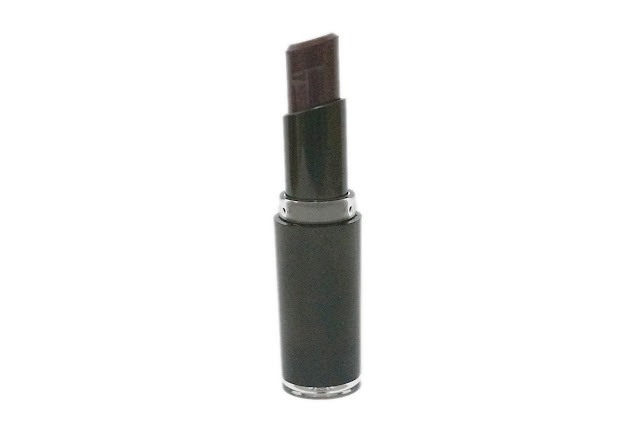 This is a deep, very dark blackened purple with a satin-matte finish. The color is very dramatic and one that I don't normally wear. 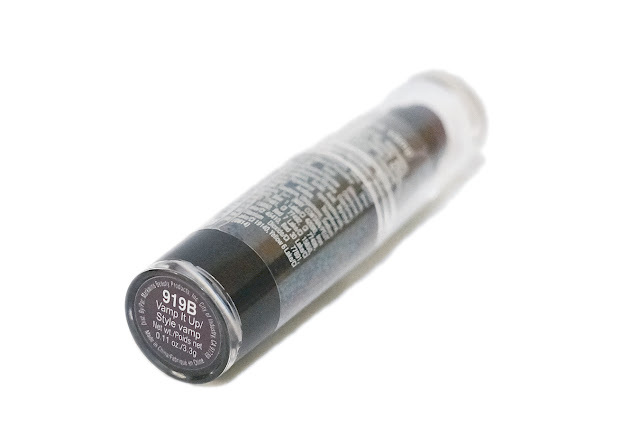 However, this is supposedly a dupe of MAC Cyber. 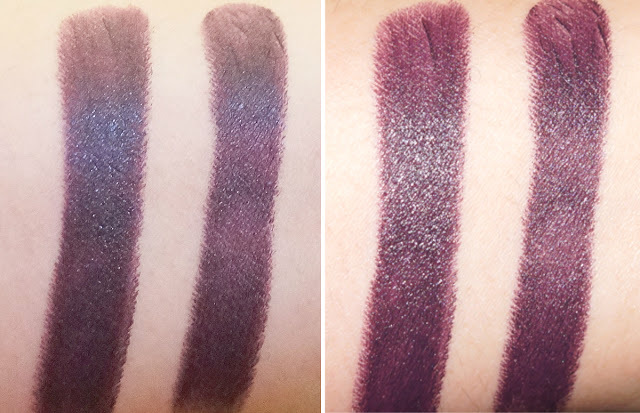 Looking at swatches online, I think both shades are really similar, with Vamp It Up a tad darker and bordering on being black. The swatches on my arms make it look like they are lighter purple. In person and on my lips, these looks really dark. Extra care is needed when applying these so you can get neat, smooth lines. I think this shade would make a great statement lip in contrast with bare, flawless, radiant skin. You get opaque pigmentation with a single swipe. I worried that this might apply patchy but it didn't. The lipstick glided across my lips smoothly and evenly. 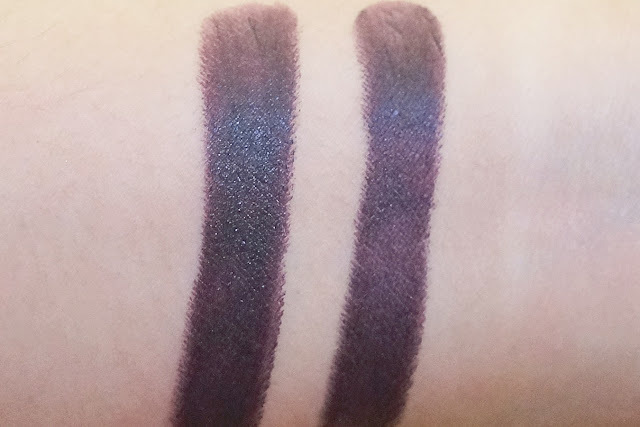 This shade is a creamier matte compared to other shades from the line. Since this is such a dark color, a lip liner would prevent unwanted bleeding and extend it's wear. 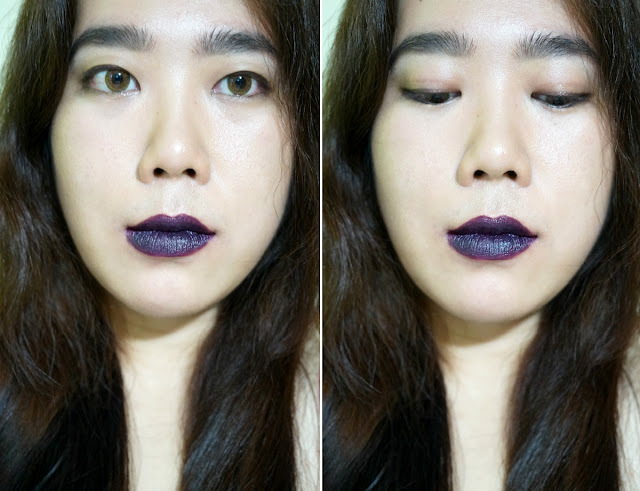 Without the liner (I don't really bother with those), Vamp It Up stayed on longer than average. It wore up to five hours on my lips, wearing off relatively evenly. It left a reddish stain on my lips (and on my arms). 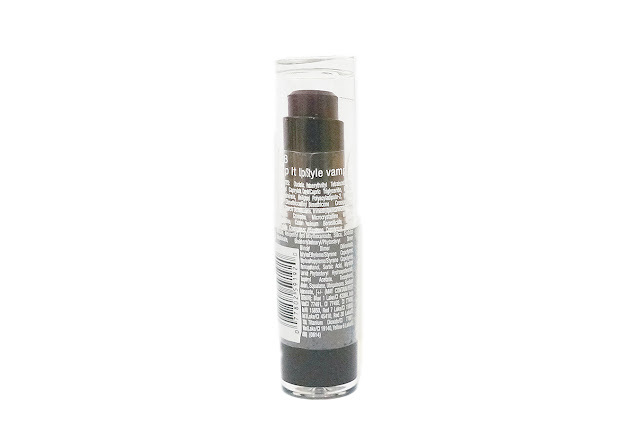 Vamp It Up gives you get even application, opaque pigmentation and longevity. 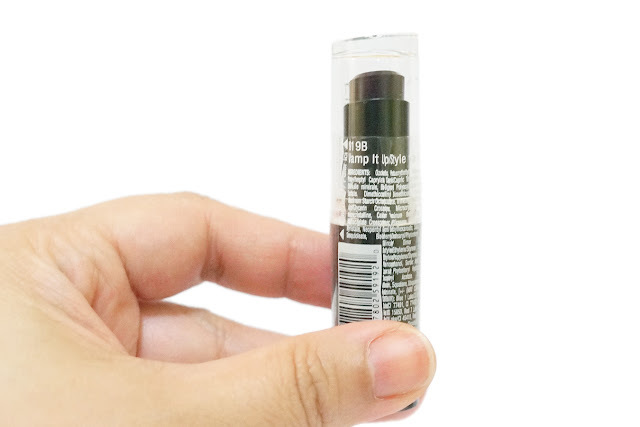 The formula is light and very comfortable on the lips. With a smooth texture, this applied without patches and didn't settle on lines. 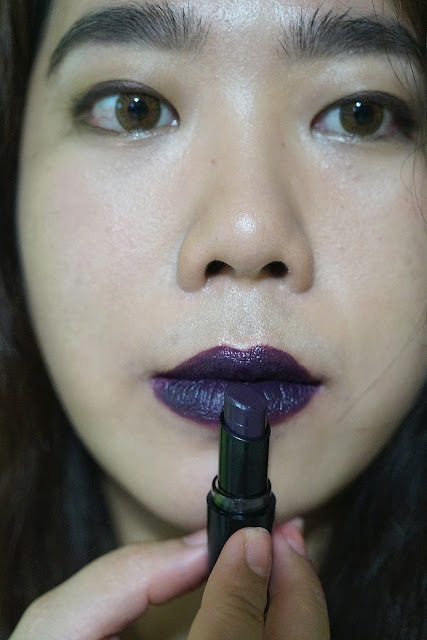 If you're just venturing on the dark lip trend, this is a good lipstick to start with.